About 10 years ago, Amazon released their innovative series of E-readers know as the Amazon Kindle. 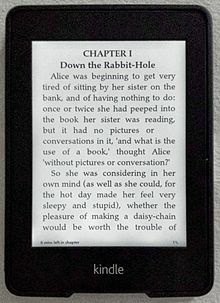 The Kindle enables its users to have unlimited access to several e-books. It allows users to browse through tonnes of e-books, buy them and download them to read. Kindle also has a digital media and wireless networking system making it easy for users to synchronize their Kindle store contents. The device offers a feature known as the "Send to Kindle" service which gives users the opportunity to forward what they wish to read unto their Kindle account via email. Users can send html webpages, word documents, picture file formats and email PDF to kindle. Sending a PDF email to Kindle requires users to forward the file to a customized @kindle email address in order to see the contents from all Kindle devices. However, aside sending an email PDF to Kindle from your native emailing app, you can also send it directly from an all-round PDF toolbox like iSkysoft PDF Editor 6 Pro for Mac. How do I Email a PDF to My Kindle? iSkysoft PDF Editor 6 Professional for Mac (or iSkysoft PDF Editor 6 Professional for Windows) is no doubt one of the most effective and top rated PDF utility software. When you want to email Kindle a PDF file, it is recommended to send it via this software since it can work as a PDF file reader and also be used to edit the PDF file beforehand. There will definitely be times when you need to know how do I email a PDF to my Kindle? The answer to this question is not very difficult since you can use iSkysoft PDF Editor 6 Pro for Mac. But first you need to know your Kindle dedicated email address. This email often ends with @Kindle.com which must have been sent to your email before so as to make sure that all Kindle emailed PDF files gets to your Kindle Account without any problem. Once you have this @kindle.com email address, you can follow the steps to know how to email PDF to Kindle. Downloaded and install the PDF Editor software on your Mac. Now launch the program on your personal computer. Import the PDF file that is to be sent as a kindle email PDF. Once the file has been opened in the PDF editor software, you can perform any form of editing or conversion using the tools within the software. If not just proceed to email the PDF to Kindle. Click on the "File" menu at the top of the screen, then the "Share" option and choose "Attach to Email" option. When prompted for an email address to forward the file to, simply type in your Kindle email address which ends in @kindle.com and hit the "Send" button. And just in a few easy clicks, you have sent an email PDF to kindle without any hassle. iSkysoft PDF Editor 6 Professional for Mac (or iSkysoft PDF Editor 6 Professional for Windows) is definitely not the only way to email PDF to Kindle, but it has a whole lot of qualities that makes it the best way to email kindle a PDF file. iSkysoft PDF Editor is a complete and powerful PDF toolkit which not only serves as a way to email PDF to kindle, but also as a program to manage PDF files. 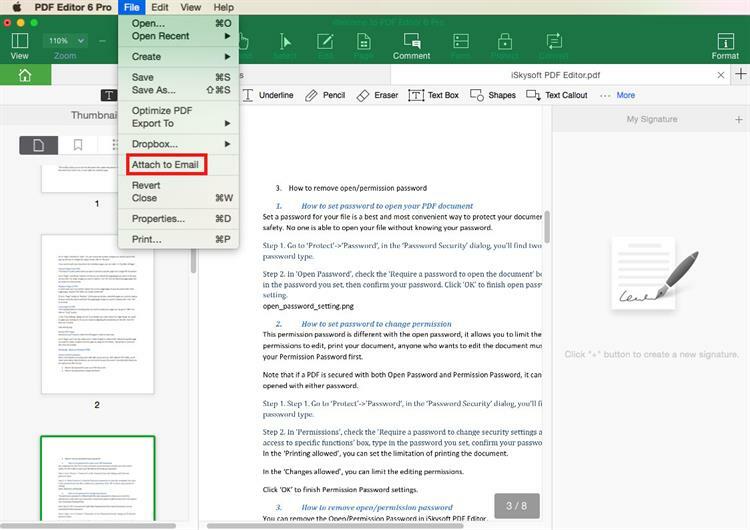 This app can be used to view, create a PDF file and also edit an already created PDF document. It can also be used to convert a PDF file to other document formats such as word and picture formats after editing its contents by either deleting or adding contents including texts and pictures. Another interesting feature is its OCR feature which allows the software be able to read a picture file and convert it into a text document in a matter of minutes. 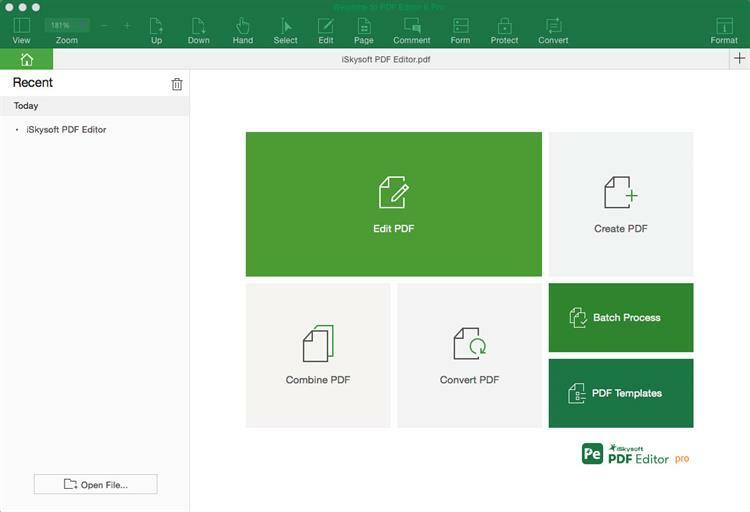 Convert and Create PDF: The software can be used to open and view PDF files no matter the size and used to create a high quality PDF file from MS word or other documents format. Secure and Share: since iSkySoft values privacy, they have made sure that this program adopts Privacy policies for PDF files that allows users encrypt their documents with a password, add watermark and even share files by emails or Dropbox right from within the program. Organize PDF: Users have the ability to be able to customize PDF files by changing headers, footers or background and at the same time be able to add bookmarks unto pages within a PDF file. PDF Form: iSkysoft PDF editor 6 uses an advanced algorithm to be able to fill out PDF forms no matter whether they are interactive or not. It includes a feature to be able create forms and also extract data from PDF forms.